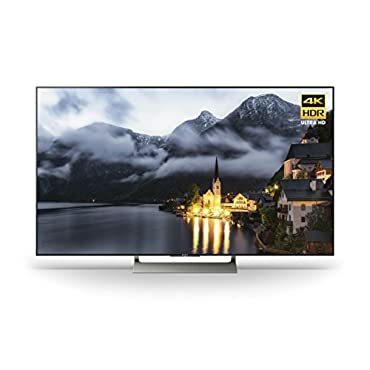 Dimensions (W x H x D): TV without stand: 43.1" x 24.9" x 2.5", TV with stand: 43.1" x 27" x 9.4"
Enjoy 4K HDR entertainment on our X900E with Android TV. With a full-array backlight and five times the dynamic range, this television offers incredible contrast. 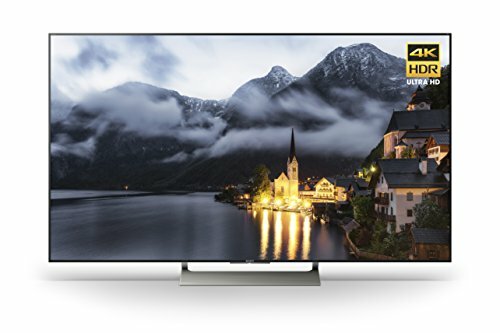 And with the powerful performance of the 4K HDR Processor X1, It takes even non-HDR content to near 4K HDR quality. Store: videoauctionsite Condition: Brand New Price: $750.00 Total Price: $750.00 Buy It from videoauctionsite No returns. Last updated: April 19, 2019 at 11:28 EST. Pricing information is provided by the listed merchants. GoSale.com is not responsible for the accuracy of pricing information, product information or the images provided. Product prices and availability is subject to change. Any price and availability information displayed on amazon.com or other merchants at the time of purchase will apply to the purchase of the product. As always, be sure to visit the merchant's site to review and verify product information, price, and shipping costs. GoSale.com is not responsible for the content and opinions contained in customer submitted reviews.